7. 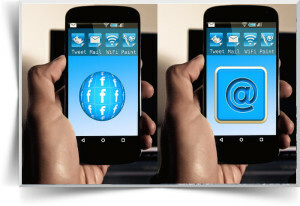 Mobile generated 39% of unique email clicks. So as you can see mobile is not only massive but it is the dominate medium for email and web search. This trend is growing sharply upwards and if you do not specifically engage with your customers or future customers with a solid mobile marketing strategy then your business is simply going to dry up. Especially if your direct competitors do fully engage. If you have or plan to have an email list, if you generate leads from organic or local search or even video marketing then mobile is your future. Sure desktop is far from dead but mobile is rapidly eating away at it’s market share. The technology advances faster than any other industry. 2016 will also be huge for virtual reality and as the smart phone is the cheapest way to deliver this to the consumer I can’t even imagine where that will lead over the next 5 years. Bottom line everything is being thrown at smartphones to make them well…, smarter! And of course more powerful, faster, versatile and affordable. All this means that as a marketer, business consultant or business owner you must look at mobile as a mainstream method to engage with your customers and prospects. Over the next few days I will talking about how you can use the power of mobile to drive your (or your clients) business forward. Not taking mobile seriously would be a huge mistake. 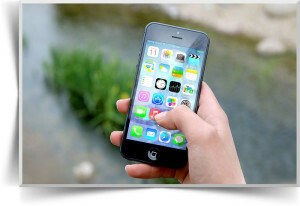 Keep your on the blog for more about mobile marketing.